Evasion of Immunity by Nematode Parasites Causing Chronic Infections, J.M. Behnke. 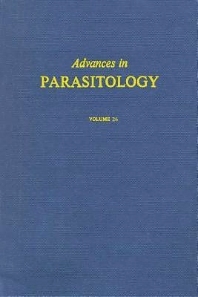 Parasite Behaviour: Understanding Platyhelminth Responses, M.V.K. Sukhdeo and D.F. Mettrick. Characterization of Species and Strains of Theileria, A.D. Irvin. Cryptobia and Cryptobiosis in Fishes, P.T.K. Woo. The Nature and Action of Host Signals, R.I. Sommerville and W.P. Rogers. Index.